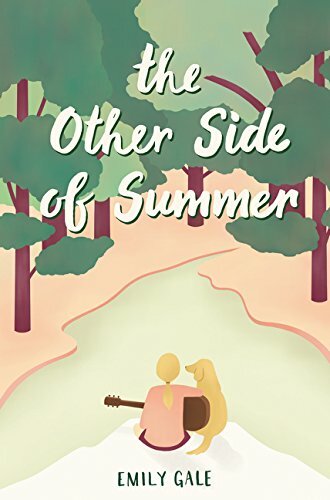 A heartfelt and voice-driven novel with just a touch of magic, Emily Gale's The Other Side of Summer is perfect for fans of Rebecca Stead. Ever since her brother Floyd died, Summer's world has been falling apart. Her mom is a ghost of her former self, her older sister is angry all the time, and her dad wants to move the family to Australia. It seems like the only thing unchanged in their lives is Floyd's guitar, which was returned to the family perfectly unharmed by the bombing that killed him. Once Summer arrives in Australia, she feels even further away from Floyd than before. Until she works up the courage to play his guitar. When she plays, something amazing--perhaps even magical--happens. Summer starts to feel less alone. But even with a little magic on her side, only Summer will be able to find her way through her grief to whatever the other side may bring. This pitch-perfect story is full of hope and magic. Exquisite and unforgettable. --Fiona Wood, Six Impossible Things, Wildlife, and Cloudwish"